Geek Grotto - Get Your Geek On! : SUPER LIMITED Editions Of XONIC Announced For Sale Oct 9th! SUPER LIMITED Editions Of XONIC Announced For Sale Oct 9th! No, I did not hold down caps lock while typing "SUPER LIMITED," there was no other way to emphasize it! Starting October 9th at 4pm PST, 2 limited editions of the Vita music game, XONIC, will go one sale via its website. 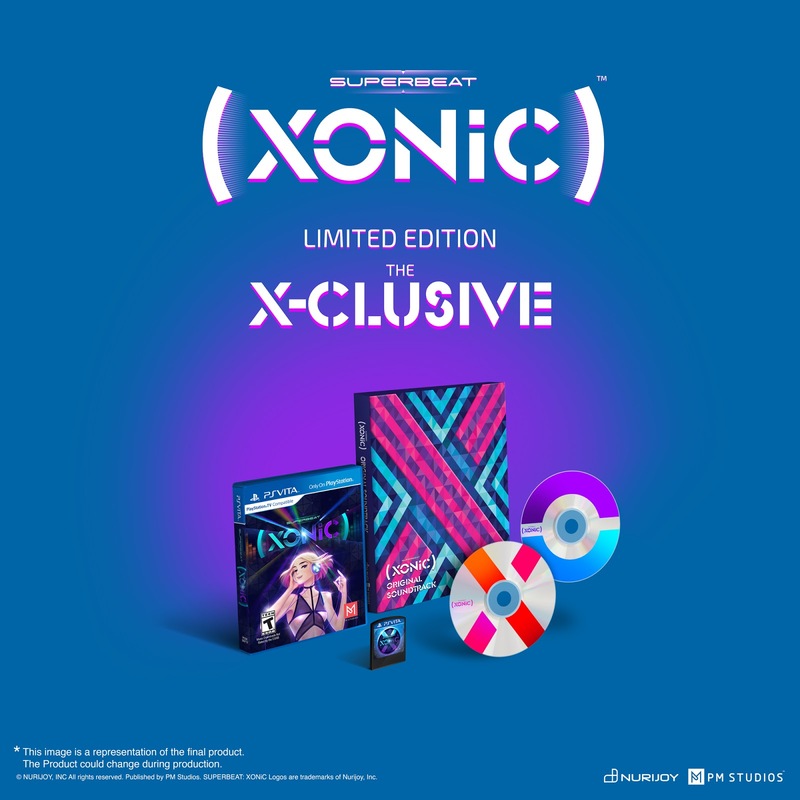 An X-CLUSIVE edition that includes the game an 2CD sountrack for $50 that is limited to 500 copies and an X-OTIC that includes the above AND 2, 2-sided LP RECORDS for $100 that is limited to 450 copies! Both can be found at https://superbeatxonic.ecwid.com/ starting at 4pm PST on Oct 9th. SUPER LIMITED EDITIONS REVEALED FOR NORTH AMERICAN MARKET! LOS ANGELES, CA, 8 October 2015— PM Studios and Acttil are ecstatic to announce that two versions of Limited Editions of SUPERBEAT: XONiC™ will be available exclusively at PM Studios’ online store, https://superbeatxonic.ecwid.com/. The preorders for this super Limited Editions will start on October 9, 2015 at 4PM (PST)! 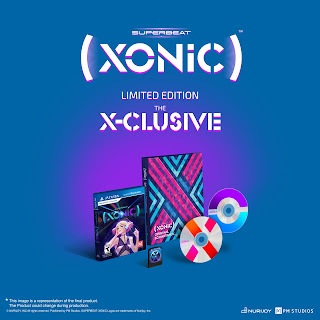 Read further for more detailed information about the amazing Limited Editions of SUPERBEAT: XONiC! 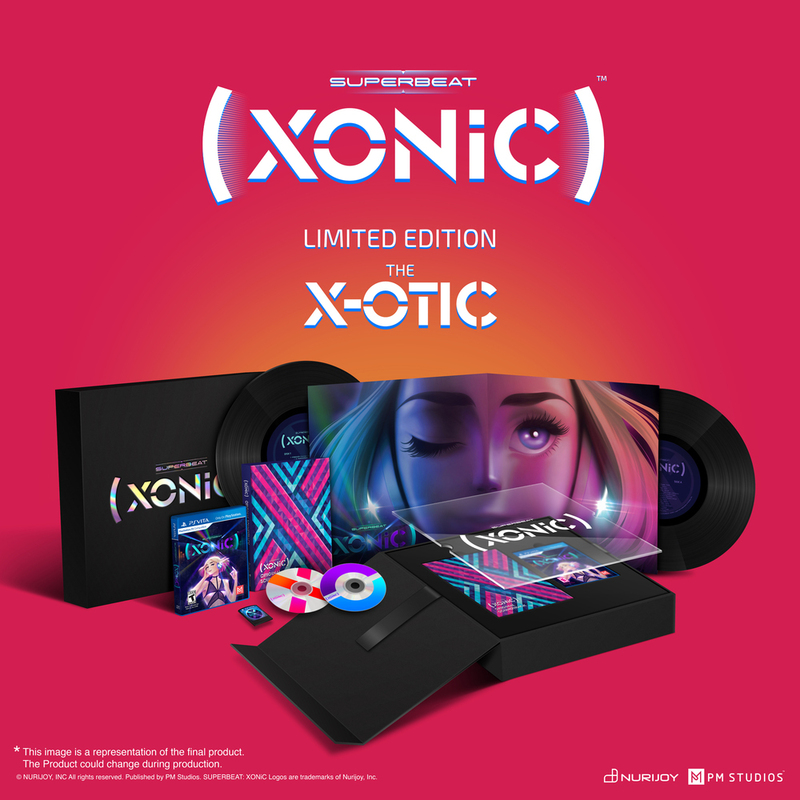 Preorder SUPERBEAT: XONiC Limited Editions at https://superbeatxonic.ecwid.com/! 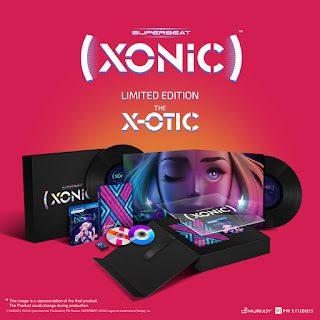 A copy of the SUPERBEAT: XONiC game, a Collectible Box, 2 Original Soundtrack Discs (57 tracks total), 2 LP records (4 sides with 57 tracks total) with an exclusive sleeve cover. Price: $100.00 plus $15.00 S&H. A copy of the SUPERBEAT: XONiC game and 2 Original Soundtrack Discs including 57 tracks total. Price: $50 plus $8 S&H. The team at PM Studios is the creative force behind DJ MAX Fever, a widely acclaimed rhythm title for the PlayStation®Portable system which released in the North American market in 2008. Equipped with brand new user interfaces and rhythms, PM Studios has crafted an even more innovative and interactive music game experience—SUPERBEAT: XONiC will rock players’ worlds! Players will be able to experience over 45 music tracks and boogie through 200 different play patterns! ▪ Massive play patterns! – Are you ready to groove to our fantastic music selection and master the monster patterns thrown at you? Get your chops up with Free Style for endless game play! ▪ Real-time DJ ranking! – Check your rank in real-time in both local and worldwide rankings!Ride your way to the top of the charts and become the best DJ!